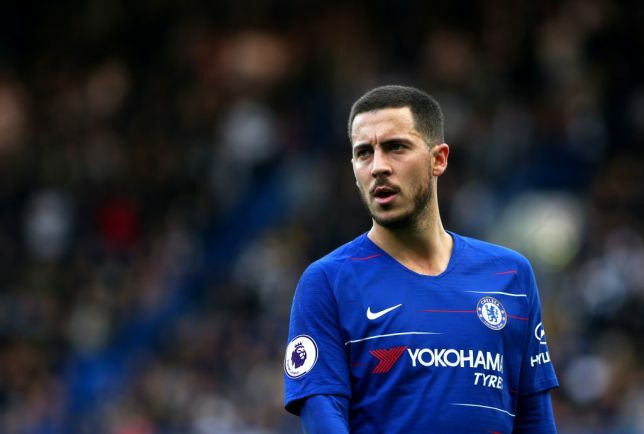 Real Madrid are looking set to announce the signing of Chelsea and Belgium winder Eden Hazard should the club be knocked out of the Copa Del Rey by Barcelona later this month. Real drew 1-1 with Barca in the first leg of their semi final clash earlier this week, with the second leg of the affair set to be played out at the Santiago Bernabeu later this month. And it seems like Los Blancos are more than prepared to soften the blow of being knocked out the competition should they lose to Barca, especially if Don Balon’s report is anything to go by. According to the report, Real have reached an agreement with Hazard regarding a move to the Spanish capital, with it also being noted that Real and Chelsea are yet to come to an agreement regarding Hazard’s transfer. The report also states that the club can’t officially confirm the signing of Hazard without the two clubs giving the move the green light, with Real looking to announce the signing of the Belgian if they lose to Barca later on in the month. Hazard has shown that he has what it takes to be Real’s main man given his displays this season, with the Belgian proving he’s capable of replacing Cristiano Ronaldo in the Spanish capital should he be given the chance. The 28-year-old has been one of the best players in the world this season, with the winger being one of just a few players to have at least 10 goals and assists in Europe’s top five leagues this term. The Belgian’s attacking prowess and ability to come up clutch in his team’s time of need would make him a more than adequate replacement for Ronaldo. All that remains to be seen is if Real actually manage to get a deal over the line for the player, and whether they announce the player’s signing within the next few weeks, something that depends on their second leg result against Barca this month.